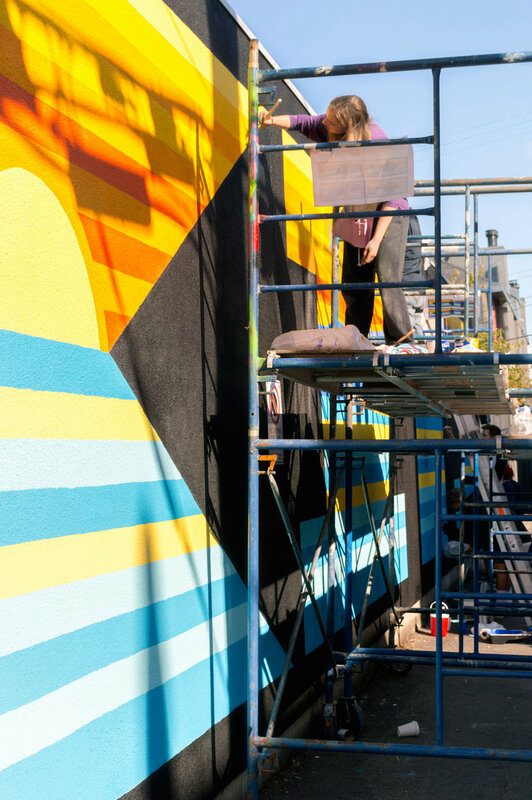 IDEA School of Design Grad 20 student, Brynn Staples, was commissioned by BC Culture Days, Evo Car Share, and the City of Vancouver to design a mural for BC Culture Days Weekend (September 29, 30, and 31, 2017). The mural is in the lane behind Nook Restaurant at 1525 Yew Street in Vancouver's Kitsilano neighbourhood. 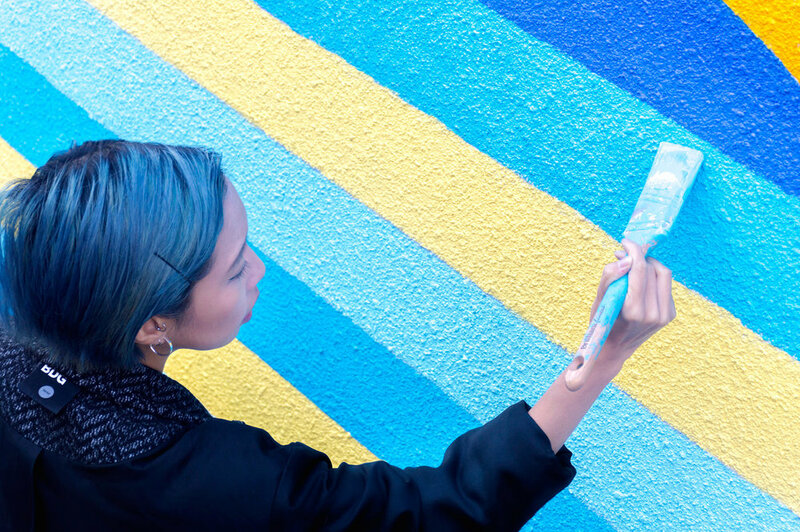 Come to Nook Restaurant (1525 Yew Street) in Kitsilano and witness the painting process as emerging artist, Brynn Staples, and her 2nd year classmates from the IDEA School of Design at Capilano University, work on completing an original mural design, turning a bare wall into a work of art. 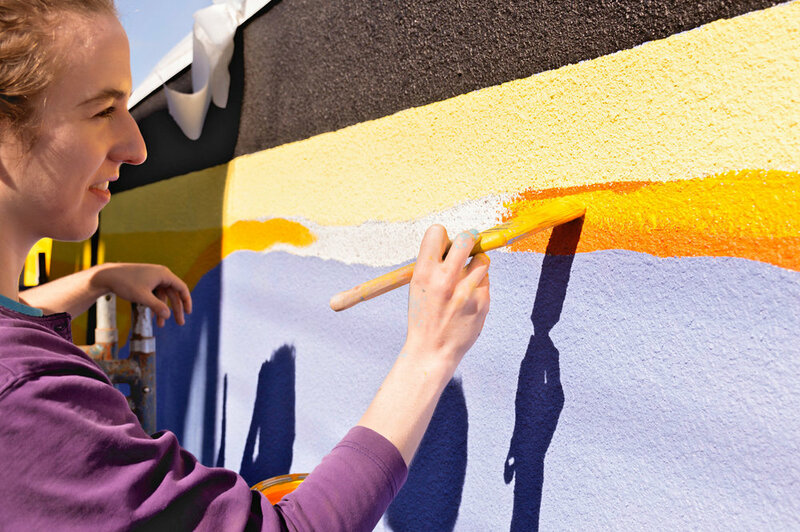 Participants are encouraged to observe, take photos, and engage in discussions on the role of public art in Vancouver. 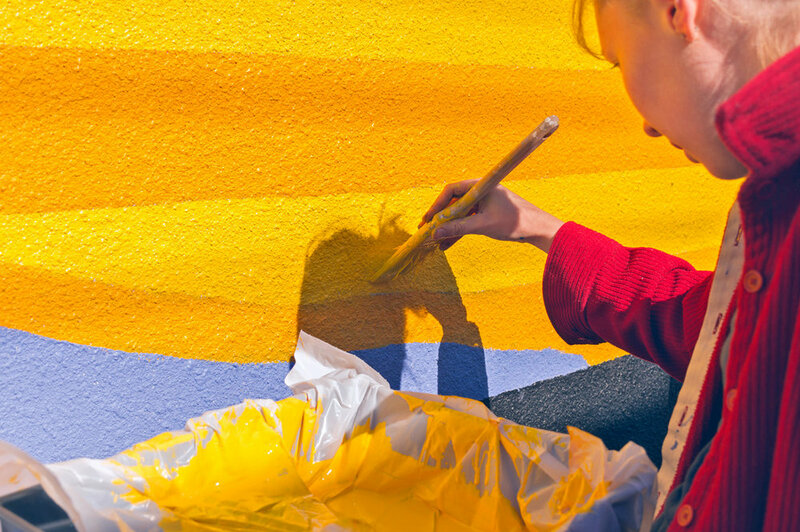 Evo Car Share and BC Culture Days partnered to commission a mural in celebration of Vancouver’s vibrant arts, culture, and heritage. Culture Days is a collaborative, Canada-wide volunteer movement to raise the awareness, accessibility, participation and engagement of all Canadians in the arts and cultural life of their communities. Every Culture Days weekend features thousands of free, hands-on, interactive activities where the public can discover the world of artists, creators, heritage experts, architects, curators, designers and other creative professionals in their communities. Initiated by The Canadian Arts Summit, Culture Days was endorsed and supported from its early beginnings by Founding Partners the Canada Council for the Arts, Culture pour tous and The Banff Centre. Since its official launch in 2010, Culture Days has generated enthusiastic interest, participation and support from a rapidly growing network of artists, organizations, municipalities, as well as the private and public sector and media across the country.